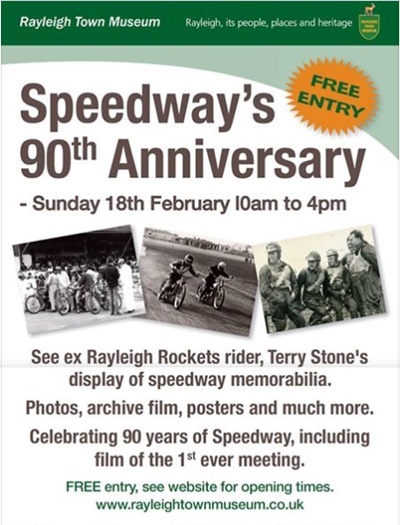 John Fray reports from last weekend's gathering at the National Speedway Museum. Tracy Holmes continues his series on the World Championship. Bert Harkins officially launched his auto-biography last weekend and has sent us this marvellous poem to mark the release. Before I get too old. 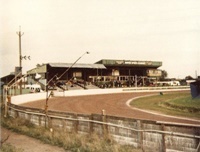 By racing there, "Down Under"
Richard first watched speedway at King's Lynn and regrets that he was too late to see many of the stars from earlier decades. We move into the nineties and David Bargh was the sole Kiwi qualifer, but had an afternoon to forget. "These old 'Sun' newspaper articles are superb recollections of riders in a time when speedway was a well organised and popular sport. Sadly, I do not think the sport will ever recapture the magic of the years between 1928 and towards the end of the 1970s and early 1980s. " Bill Hamilton shares some "Where are they now?" updates that appeared in the national press in 1973. Riders featured include Arthur Forrest, Jack Young, George Wall and the Parker brothers. Mitch Shirra was on the only New Zealander to make it through to Coventry. Tracy Holmes tells us more. More details at Rayleigh Town Museum. "I came across his grave in the village of Wellford near Newbury, why was he burried there? I enjoyed your article very much, brought back happy memories of going to speedway with my father when I was little." Freddie had lived in the Newbury area for many years prior to his death. 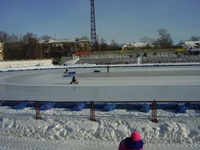 Charles McKay was in Russia last weekend to take in some action in the Russian Ice Super League. Tracy Holmes continues his series on the Overseas Finals. 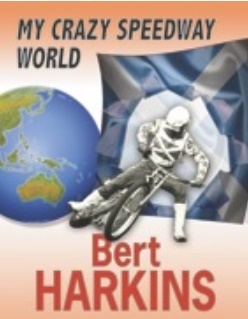 That great speedway character Bert Harkins has been busy in recent months writing his auto-biography. It will be launched later in the month but is now available for pre-order. "So where is the PR? As our politically correct mood slides ever deeper towards total control, with the news that F1 has banned the "Grid Girls", where is the decision from speedway? Where is the publicity? The promoters have all achieved precisely nothing with their silence. Don't the BSPA have a media spokesperson that can get our sport on national TV? Whatever the rights and wrongs of it all, speedway has yet again missed a chance for a nationwide mention by saying it's either going to carry on with our version of "grid girls", or it's intending to follow the F1 line. One day in the not too distant future nobody will know what speedway is at this rate."